Have Poor or Low Suction? Don't spend thousands of dollars for a new evacuation system! 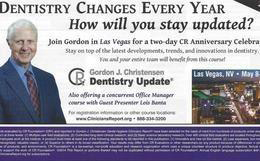 TriCom Dental Products "Top Product" by CR Foundation! 84% of CR Evaluators rated kit exellent or good. VacuShock tablets are used initially and every three to four months to remove build-up and deodorize suction lines. VacuClear tablets are placed in the solids collector of each dental unit each week for continual self-cleaning. VacuShock™ Tablets: A maximum strength, large orange tablet used for initial cleaning and sanitizing of your vacuum system. Used every 2-3 months. VacuShock™ will break up and remove old aged buildup time has allowed to develop deep in vacuum lines. Non-Toxic, Non-Corrosive , and Non-Foaming. Releases a concentrated, anti-microbial agent, removing biofilm, fluorides, amalgam, hard water deposits, and all cross-contamination leaving your vacuum-lines like new! Self-cleaning, time-released, state of the art tablets. Used once or twice a week. Cleans vacuum-lines as you work on each patient. No more rinsing after each patient to keep up with CDC regulations, no more end of the day cleanings-for good!